It’s not uncommon for people who have gained weight to say they’re concerned about their knees, with this in mind I had a little search for articles around the subject. So a bit of anatomy to begin as what we consider our knee joint is actually several joints; what’s generally considered the ‘knee joint’ is the tibiofemoral joint (TFJ), the joint between the tibia (shin) and femur (thigh); we also have the ‘kneecap joint’ or patellofemoral joint (PFJ) the joint between the patella (kneecap) and femur. Development of osteoarthritis (OA) in the knees is more likely if you are overweight with OA in the TFJ the more likely; mechanical stress from the extra load going through the joint and the bodies adaptation to it is thought to be one aspect contributing to development of OA, however it is noted that OA is more likely in overweight people in joints that don’t weight bear too (i.e. the hand) leading to a belief that another aspect in development of OA may be the extra body fat producing proteins that worsen joint inflammation which subsequently may be instrumental in cartilage degeneration. Now regarding the PFJ, which plays a large role in flexion/bending the knee; it is estimated that this joint is exposed to loads 2-3 times your body weight during activity, and OA in the PFJ appears in half of people experiencing knee pain or knee OA. 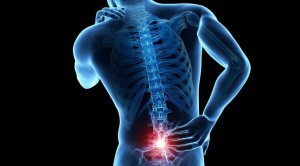 The research found that those with PFJ pain were heavier, and those with PFJ OA were heavier again; although extra weight was not a predictor for those without PFJ pain, creating a chicken or egg debate -is pain due to excess weight or is excess weight due to reduced activity due to pain? There is some belief that PFJ OA and pain are on a continuum and essentially it is concluded that reducing excess weight may well benefit the knees by restricting mechanical and metabolic effects believed to be caused by it. The Spain weight loss retreat started on 15th September and has just finished. It was another fantastic success and is proving to be our most popular course. It was Jen’s first time in Spain and she did a fab job covering aerobics, aqua aerobics, massage and much more! We always have alot of returning guests and this course was no different with over half the guests coming back to us from previous courses. There were two young ladies on this course who have been to us many times and more than once to Spain. Thank you hugely Lisa and Ali for your continued support it’s much appreciated by all of us at FitFarms. Also not forgetting the other 9 guests for putting so much effort in and keeping spirits high over the week. We only run our Spain weight loss retreat and lifestyle camps for one week and do not do the FitFarms shorter courses because in the past it has proven to be quite tricky collecting guests from the airport and returning them throughout the week. Thank you goes to Jen and Andy for making the course lively and fun for everyone. There are always going to be challenges with these styles of courses and they always seem to meet them head on and make sure the customers get the most possible out of the course, making it a fun and dare I say it a life changing seven days of exercise, nutrition and educational workshops. We had a new chef team on this course and they did extremely well keeping the food varied and tasty. Thank you Diana and Ian for doing such a fabulous job and looking forward to working with you again in November. FitFarms has decided to run more retreats in Spain but keeping the number of people to a smaller level. We are averaging at approximately twelve guests every time we run. So far we have been twice and we have been full on each course. We still have some availability on our course so please check out the FitFarms Spain Course for dates, prices and general course information. For anyone who works in healthcare you’re probably quite familiar with NICE guidelines, for anyone who isn’t, they are guidelines health professionals follow for the treatment and management of certain ailments put together from the best evidence based research that is available at the time. There are guidelines for all sorts of things and I thought I’d write a little about the guidelines for a very common problem – Non Specific Low Back Pain (NSLBP) and sciatica, that is, where pain has no association with a known serious or potentially serious cause. Self management is first up :offering advice and information; personally I think this is an underrated aspect, if knowledge is power then offering knowledge can surely only be empowering (and hopefully motivating) helping someone understand their problem and ideally want to take control of it. Next up, group exercise, specific programmes tailored around needs, capabilities and preferences of individuals, where NSLBP is concerned exercise is the number one go to! Something I’ve often come across is people using belts, there is a huge psychological element to using supports with injuries, and if they’ve been advised in relation to a particular diagnosed condition follow the advice, however for NSLBP NICE say they are not to be offered. I’m not talking sets and reps of deadlifts just progressive exercises (any one that’s done a FitFarms core session will know what I mean there!) beginning gently, progressing and committing to it; often programmes are followed until pain eases then neglected until it comes back and its back to square one, the key is continuation. Today is action packed at FitFarms Spain Weight Loss retreat. The early morning work out has been completed and there were alot of smiles on people’s faces. Personally I feel when people get to this time of the week they start to see the finish line. This isn’t just a phew we are almost there but I feel people can feel the increase in their fitness levels and generally have more energy which brings on the smiles. It’s action packed today because the smiley coach man is coming to pick us up again and take us to the local beach at Inskajar. There is a huge lake there so huge it’s the largest lake in Andalucia which is ideal for our weight loss retreat activities. There is a natural beach on the lake which makes it great for water sports. The last time we did this back in June it was really popular. The water is extremely clear and in some parts you can see to the bottom of the lake. It’s a more fun exercise activity but it’s a great workout and keeping exercise fun is what it’s all about. Iznajar really is a dramatic place. There is a white washed village that is high up and it literally looks like the whole village is sitting on a rock. All the shops and houses are white and there’s an amazing church right at the top of the village. 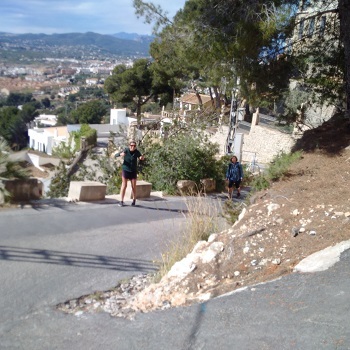 One of our FitFarms weight loss retreat walks starts at the bottom of the village and the group wind there way through the Spanish streets up to the top. We then take about 20 minutes break which is needed plus it gives everyone the opportunity to look around the village. Once the 20 minutes are up we then start our descent down the other side of the village to meet our smiley bus man at the bottom of the hill. It really is quite a breathtaking walk. Today was a bright an early start at FitFarms weight loss retreat in Spain. First up was the morning session which we call the pre breakfast workout class. We nearly always start of the day with a mobility exercise which was introduced by Andy Baker in 2016. We were doing mobility style exercises before but just not enough. In fact we believe it’s one of the most overlooked areas in health and fitness. The major benefits of mobility exercise is that it helps your range of movement, creates body awareness, helps with bettering your posture but ultimately prevents injury so very important to do for overall health. The FitFarms jolly bus driver has arrived and today we are heading to Granada for a walk. 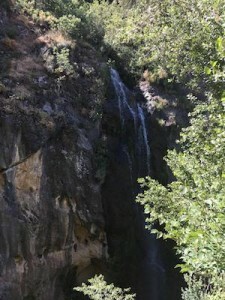 Well actually it’s about 20 minutes from the medieval town of Granada in an area of natural beauty called Monachil. There is a famous walk here called Cahorros which starts in Monachil and goes up a windy path and then you enter a dramatic gorge. It really is fantastic with with hanging bridges, water falls and an array of beautiful flowers. The walk takes around 2 hours and like all the FitFarms weight loss retreat walks there are different lengths to help with the different fitness abilities. Then it’s a hop back onto the bus and we’re off to the medieval city of Granada for a spot of sightseeing. We only do the sightseeing for a couple of hours as the FitFarms weight loss retreat schedule is quite busy and at the end of the day we are a weight loss retreat and fitness camp! Granada Medieval City is absolutely spectacular and if you ever get the chance to visit go for it as you will not be disappointed. This week the FitFarms weight loss and fitness retreat are out in Andalucia in Spain. The health and fitness team always get a little more excited on these courses as the retreat has a little more of a holiday atmosphere than the UK holiday retreats. In fact I would go as far to say it’s our most popular course for guests and trainers. 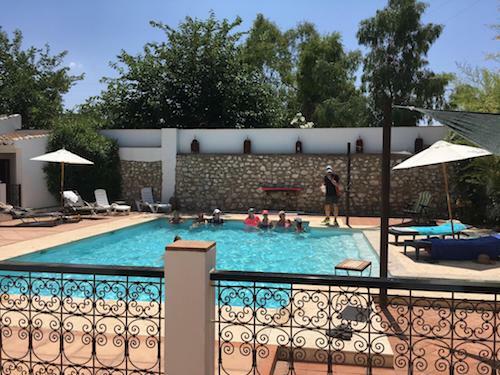 The group is a little smaller at just 12 guests on the Spanish retreats and once again we are full with 12 very excited and fun guests which are all having a fantastic time. The trainers on this week are Andy who is in charge of the running of the week and Jen who is the sports therapist, aerobics and massage therapist always with a welcoming smile on her face. The chefs on this week are the lovely Diana and Ian who run a catering business in Malaga which is approximately 50 minutes away from the FitFarms weight loss retreat villa. The guests have loved the taste of the food and the presentation has been spectacular. Today is a real fun one as we are going to the beach. Even though the FitFarms weight loss retreat is based in the rolling olive hills of Andalucia there is a lake beach just 15 minutes from where we are staying. Now water sports aren’t for everyone so we do give guests the option of a lake walk and for those water babies we have kayaking and pedalos. On the last course back in June the pedalos proved to be really popular as they have long slides straight down into the water, they are also a good leg workout as well. The next FitFarms Spain fitness boot camp course starts on November 24th but hurry there’s only a couple of spaces left. 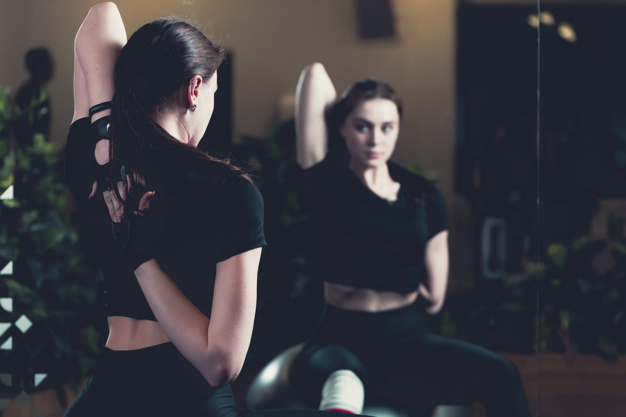 We’re often asked at FitFarms ‘what sort of exercise should I be doing?’ and I’m generally of the opinion that you should be doing whatever activity you enjoy doing be it gym, classes, cycling or rock climbing; but I thought I’d share some info from an article I was reading about some benefits of strength (aka resistance) training. As we age our muscle mass declines by roughly 1% each year and alongside it strength, though at an even greater rate; parallel to this there is an association between lower muscle strength and greater risk of dementia, need for care and mortality. Recent studies in the article concluded a large reduction (19-27%) in mortality of adults using strength training a couple of hours/days a week. An earlier study in a nursing home found an increase in strength of 174% after 8 weeks in a a small group of nonagernarians with a couple of the participants regaining ability to walk without a stick, and one who had regained the ability to stand from a chair independently. 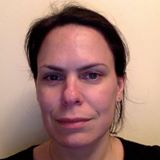 Other studies have shown strength gains to improve cognition in those with subjective memory problems, reduce inflammation in adults receiving haemodialysis for kidney failure, help adults with type 2 diabetes manage sugar levels, improve bone strength in postmenopausal women as well as benefits for heart attack recovery, depression and sleep. Strength training is the only exercise that stimulates muscle growth and thus the only kind of exercise capable of dealing with reduction in muscle mass and strength. Finally, in line with the research and the ACSM guidelines, recommendation for strength training is to partake for at least two days a week at a moderate to hard intensity and to work the major muscle groups; all I will add for anyone reading thinking ‘I’m not about to start lifting weights’ the key is ‘resistance’ be it weights, gravity, water or my favourite the resistance band -as long as resistance and intensity is there it’s all good. Two days left at this fitfarms retreat. As the week progresses we like to add more individually intensive exercise classes we like the clients to be pushed a little more but prefer it by this point for them to be doing the pushing themselves. So we have our lifestyle workshop for a sit down but the rest of the day will be full on, from legs bums and tums to circuits to aerobics and boxing all in one day! 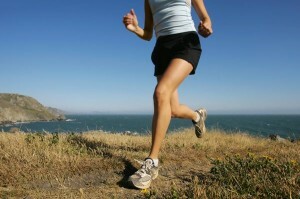 It’s amazing how much exercise we can do with none of the distractions we deal with on a daily basis. 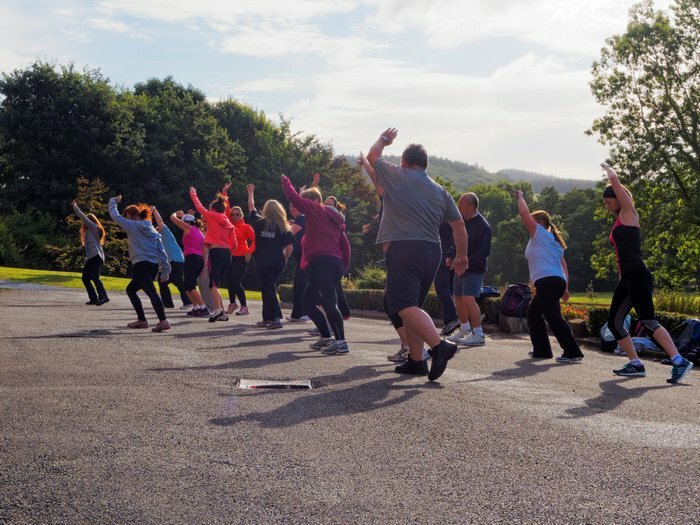 If you haven’t been on one of our weight loss boot camp courses don’t let this put you off. We know how to support, motivate and get the most from our clients and we know when they are giving their all so we know when to ask for more and we know when to pull it back, it’ll always be your decision we just make sure you have what support you need to find your level! A really good website to find information on Exercise is The American College of Sports Medicine. Once again at 5pm it’s dinner time and the last class of the day is a stretch. After stretch this evening we have started the one to one mentor sessions a chance to rap up and answer any questions you may have and to put together plans or ideas on how to move forward when you go home they can be anything between 30 and 60 minutes and are completely optional but are really useful when it comes to planning. These sessions will run throughout the rest of the week depending on how many people want them and we like to leave them till later on in the week to make sure people have what they need in terms of information and questions to make the most of it.. tomorrow is the final day at our weight loss boot camp Norfolk site and we have swimming and a beach walk planned, the weather is set to be nice and it should be a really good end to the week. So time for a good nights rest ready for amongst other things; the fitness test tomorrow! Frequently we’re bombarded with headlines on social media like ‘the one thing fitness pros wish you’d stop doing’, quite frankly the one thing I wish would stop is those headlines! Despite this every now and then I get lured into reading whatever pearls of wisdom someone has decided to share – sometimes they’re actually quite good other times not so much, but that’ll be my opinion based on my own understanding and learning. To quote ‘the one thing fitness pros wish you’d stop doing’ is to assume we all agree & think the same – we don’t! Any way back on track: a particular article I read with one of ‘those headlines’ was about foam rolling the IT band (ITB), it explained that foam rolling should be performed slowly (agree for the most part), that the ITB is not a muscle but connective tissue that acts as an attachment for other muscles and doesn’t respond to foam rolling in the same way as muscle (I’ll agree there), and suggested not to foam roll the ITB at all (going to disagree with that). It then suggested instead to foam roll around the areas of hamstrings, quads and glute. med. (sounds good to me); I have to say however that I was expecting mention somewhere in the article of a hip flexor called the tensor fascia latae (TFL) which happens to be the muscle where the ITB attaches, I can only assume it was left out as often hip flexors will be tight rather than shortened and potentially may require stretching rather than rolling, though I guess there are probably few ‘fitness pros’ who wish you’d stop stretching. So if you also read that particular article and your ITB’s an issue don’t forget your TFL. As anyone that’s been on a FitFarms course will know I like a good stretch and often focus on an area generally neglected -feet; as I’ve also been on a bit of a running kick I decided to combine the two and discuss foot strike in running. I mentioned a while back about how running technique varies from person to person and foot strike essentially is a part of an individuals technique. When we talk about foot strike there are three types – rear foot, midfoot and forefoot. Each is pretty much as they sound, rear foot is where the foot strikes the ground with the heel or rear third of the foot, mid where the metatarsal heads or middle third of the foot strike first and fore where again the metatarsal heads strike first but where the heel does not lower to the ground (with that said there are a few different methods for deciding foot strike including one that suggests ankle position should be considered as well, but for simplicity consider the foot in thirds!). due to the creation of footwear however studies have shown from barefoot runners in Africa a majority also rear foot strike. Some people have changed how they strike through practice believing it less injurious to fore or mid foot strike despite it being noted that there is little research wise to show any benefit long term (though I think it’s partly that there’s little research on the matter full stop). Forefoot running is shown to lower the impact and ground reaction force (the force return, if you like) compared to rear foot and it is demonstrated that top rank participants at different distance events were often fore or mid foot strikers; it has been suggested that foot strike may be specific to the task, with fore foot strike apt for increased speed and rear foot better for conserving energy with reduced oxygen uptake by running at submaximal speed, though as you can probably glean from the theme running through, this also is not definitive!